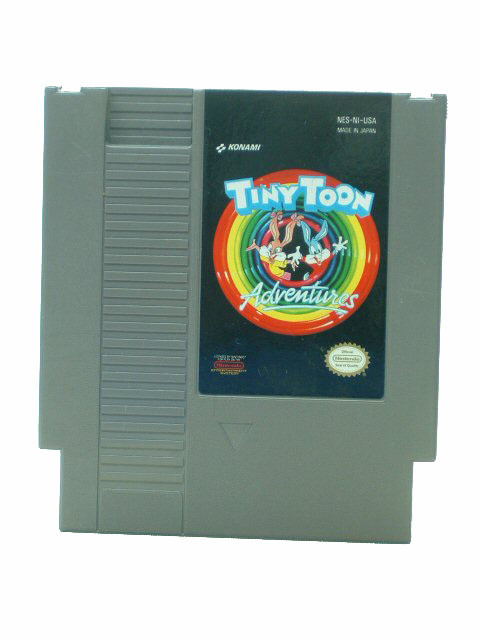 Relive your childhood fantasy with the Tiny Toon Adventures video game made for Nintendo platform. With this game, you can help in releasing Babs Bunny from the kidnapper Montana Max. With this single/multiple player adventure game, you have to save her by taking control over other Toony pals like Buster Bunny, Dizzy Devil, Furrball, and Plucky Duck. This would not be an easy task for you in this Nintendo video game, as you have big obstacles namely Roderick Rat, Arnold the Pit Bull, and Elmyra that comes you way while saving Babs. The Tiny Toon Adventures takes you to a wide range of locations from ghost pirate ships, hidden rooms to haunted forests, secret chambers and mainly Monty's Mansion to rescue Babs. Each character in this adventure game provides comes with unique power that helps in fighting the enemies effectively. The cartoon graphics of this Nintendo video game takes you back in time when you used to enjoy the Toony Tales and its adventures. Get a hold of the Tiny Toon Adventures and spend time with your family playing the game.